For as long as I can remember. When I was younger, if there was an option to write a story over doing something else, I would take it. The first story I can recall writing was about my pet brontosaurus and I taking a run through the McDonald's drive-thru. I officially decided I was going to be a writer when I was ten. My mother and I had gone to see "Little Women" in theatres and I loved the character Jo. I decided that I was going to be just like her, and I started writing on the way back from the movies. I haven't stopped since. The first book I ever published was called "The Beginning of the Wolf", and it was published in 2000' through a contest offered by the James V. Brown Library in Williamsport, PA. I was twelve at the time and the book only has one copy available to the public, but it can be found at the Hughesville Area Public Library in Hughesville, Pennsylvania, and is available through their catalog, along with the rest of my books. As the library that kept that first book I ever wrote, I donate a copy of every new book I publish to them. The first book that I published myself is called "Hunt". It is the first book in the "DeathSpeaker Trilogy", and was published in October 2012'. "Hunt" was self-published, and all of the books since have been self-published, as well. The "DeathSpeaker Trilogy" is set in a fictional version of Earth; two hundred years after a nuclear war had very nearly wiped out the entire human population through war and disease. The few that remain are struggling to survive in a world that has become a wasteland, their already difficult existence made more troubling by those who have been mutated by plague and radiation. One example of these mutations is DeathSpeakers - humans born with their mouths sewn shut with unbreakable wires. Upon their tenth year, the wires fade and the DeathSpeaker is finally able to speak, but anyone who hears them speak will instantly die. The first book, "Hunt", follows Ricker, an assassin who has made it his life's mission to hunt down DeathSpeakers and kill them before they can hurt anyone. His life is complicated when Mortimer, the almost ten-year-old DeathSpeaker he is trying to track down is kidnapped by a third party, along with a gem capable of granting the single wish of anyone who holds it. When Mortimer escapes his kidnappers and runs into Ricker, the two of them are forced to join forces in order to defend against attack by Mortimer's kidnappers - people who are determined to get him back for reasons unknown. The trilogy focuses on overcoming the past and learning to live for the future, especially as Ricker begins to suffer headaches and recover memories he has forgotten. As his past returns to him, he begins to discover that the choices he has made in his life are not what he thought them to be. In fact, there is a lot that is not what it seems. One of people's favorite parts of the book seems to be Shadow, a ghost that spends his time following Ricker around and making sarcastic quips to guilt him into doing what he thinks needs done. The end of "Hunt", however, reveals that he, too, is not what he seems. The inspiration for "Hunt" was actually my playing around with language. I like words, which I'm sure is evident from my choice of career. I was thinking about the semantics of different words and how they can often have ambiguous or double-meanings. I had actually been thinking about J.K. Rowling's word for the followers of her main villain in her Harry Potter series - Death Eaters. The idea popped into my head of a Death Breather, and if they could breathe death, would that mean breathe it into someone, or out? The answer to that question created Ricker, an assassin and DeathBreather, and it was from him that the rest of the story evolved. There are different aspects to the story that have been inspired by other parts of my life - my love of science and science fiction, my addiction to words, and my fascination with theology and psychology. Originally, DeathSpeaker was going to be a series of six smaller books, but instead it turned into a trilogy. The second book in the trilogy is called "The God Stone", and I will be working on that for National Novel Writing Month, as soon as my current project is released. I have four books published at the moment, and "De Facto Dead" will make five. I also have some short stories available in larger anthologies. I am just putting the finishing touches on "De Facto Dead", the next part in the "Roger Lamb Case Files", a series about a private detective who has recently learned that all the things he once believed to be "paranormal" are actually true. Living in the fictional city of Spectre, New York, Roger works alongside Officer Alexis Berkley to solve cases and protect people from monsters that lurk under beds and behind masks that make them look human. 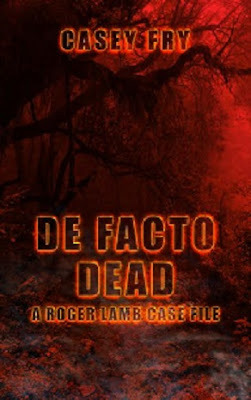 "De Facto Dead" is the second story in the "Roger Lamb Case Files". The first, "Dead Man's Dog", was a short story published in my second book, "Beyond Doorways", a collection of five horror short stories. "Dead Man's Dog" is available to be read for free on my website. "De Facto Dead" is due out on November 2, 2015. After it is released, I plan to spend the month of November participating in National Novel Writing Month, working on "The God Stone", the second book in the "DeathSpeaker Trilogy". There are also some other books planned out in the future. The third and final book in the "DeathSpeaker Trilogy" is already planned, although the title is not being released yet. There is also another "Roger Lamb Case File" in the works, tentatively planned for release in the summer of 2016', called "Dead Man Knocking". Past that, we'll see what I can sink my teeth into. "De Facto Dead" continues following Roger Lamb as he works as a private detective in Spectre, New York. Roger is working some smaller cases for some blissfully-normal clients when Officer Alexis Berkley, a friend and frequent-colleague, calls him asking for help with a triple-homicide that looks like an animal attack, except that the bite marks are human... sort of. Things get weird, as they tend to do in Spectre, when the murders don't stop even after the supposed culprit is caught and a missing person's case proves to be mixed up in the deaths of a number of unrelated victims, all killed viciously. Roger and Berkley have to work together to solve the mystery and protect the people in danger, all without having any idea of what exactly this monster is. Spectre is proving time and again to be the central gathering point for monsters of every kind, unfortunately the only kind of luck Roger have is bad. As stated. "De Facto Dead" is due out November 2, 2015. I’ve officially declared myself a professional goofball. You can find pictures of me on my website wearing "The Cat in the Hat's" tall hat, or grinning over the rim of a tea cup filled with... well, it actually might have been tea, coffee, or soup. Could of maybe been the bitter tears of the characters I have put through hell. I like to have fun, both within the pages of my books and beyond them. I love studying mythology and psychology, and you'll find I use both liberally in my books. My characters tend to be fun to get to know, even the ones we don't like all that much, and every one of them is written with aching depth, time spent building them, and breaking them. I have a lot of fun writing, and I also spend a lot of time writing, studying characters, researching, and putting everything together. I enjoy what I do and I write stories that interest me. They seem to be pretty fun for other people, too, and I've met a lot of really great people through writing them. If you like dragons, ghosts or haunted houses; if you want to see what the world could look like after World War III, or if you wonder what it might be like if werewolves were real, I have an answer. It might not be the right one; but right is boring. I can promise you it will be interesting. Step inside one of my worlds and you won't be bored. I can't promise you won't get lost, but you'll be in good company. 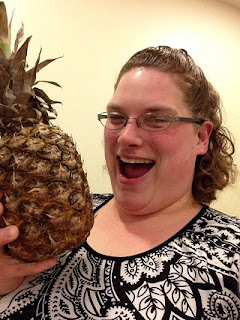 BLOG WRITER'S NOTE TO AUTHOR: It is definitely quite obvious to me that you love writing. Your books sound like they are filled with high adventure and will keep a reader spellbound. I generally like a good fiction fantasy type book. So I will definitely be checking out your books. Good luck with your future writing, and thanks for the interview.